Women like to buy shoes, and a pair of nice shoes may upgrade your final look and may also bring you a happy life, just like Cinderella. Although not everybody has the chance to wear a pair of real crystal shoes in the real life, women still look for the better shoes all the time. 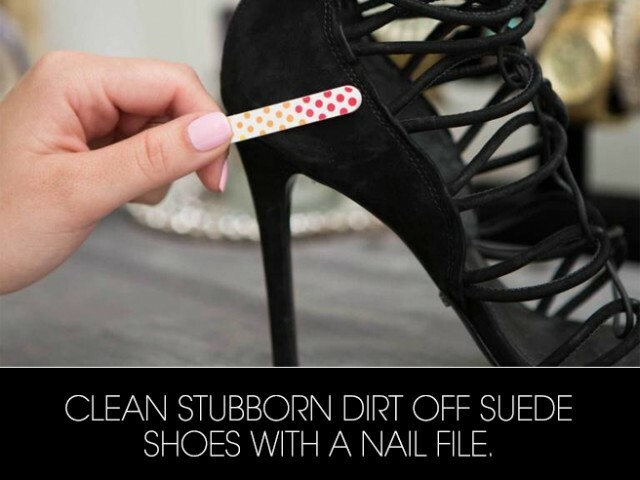 In this post, we are going to share with you some useful shoes DIY ideas which will beautify your old shoes and save you a large sum of money. Stay here and check them out! I hope you will find this post helpful! Enjoy! The high heels are flirty, yet they are really easy to get scratched if you don’t take care! Some people use the nail polish to fix the scratches, that’s OK! However, this tutorial will help you fix the scratches as well as make them even more stylish! Have a look and experiment with it! 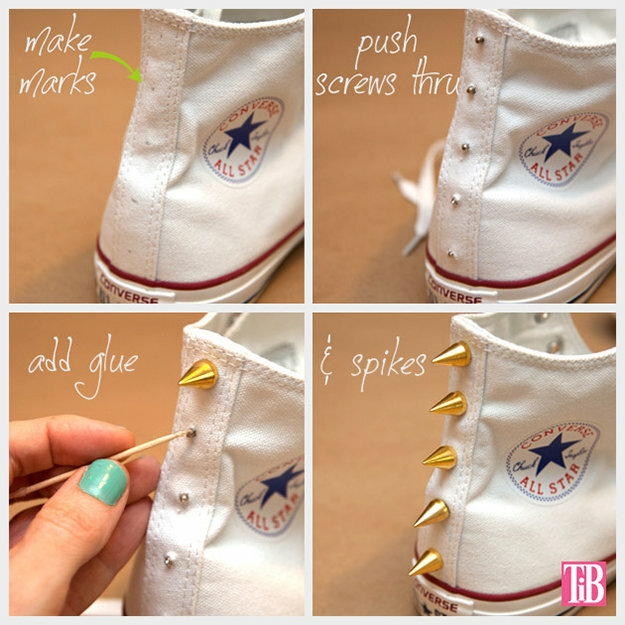 The basic converse sneakers will become unique and chic when you add some spikes onto it! It’s easy to follow the steps, isn’t it? 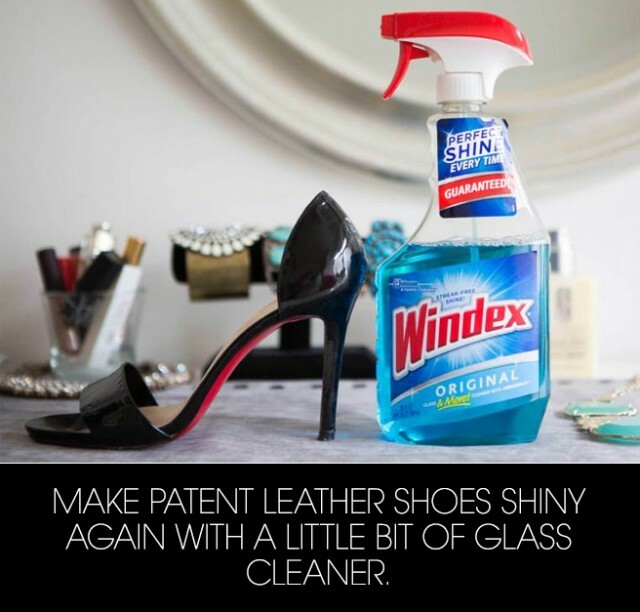 The glass cleaner will be your best cleaner to polish your leather shoes! Many people find it difficult to clean the suede shoes. 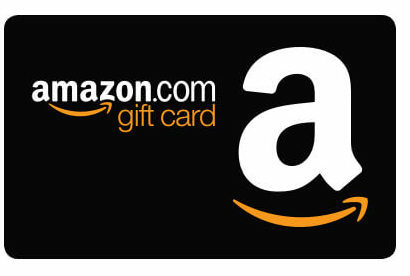 Here is a fantastic solution for you! 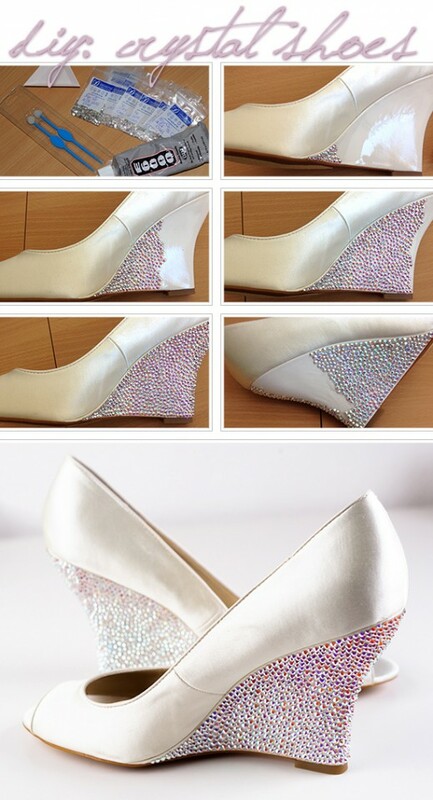 Dream to own a pair of crystal shoes? Just take your time and add some crystals to wherever you like! Tired of the color of your shoes? Want to have shoes in a trendier color? 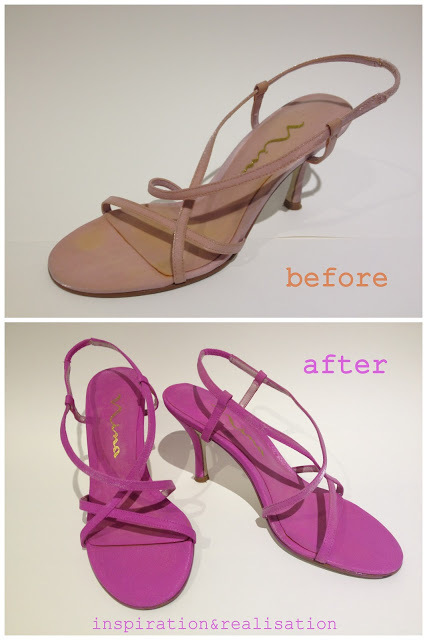 Follow the step and you can turn your old shoes into a new colored pair! Some shoes are not skid-proof and it’s easy to fall over on rainy days if your kids wear such shoes. Check out this tutorial, and you will find how great the coins work to help you solve this problem. The new shoes may abrade our feet, and there is a way to break in the new shoes. We won’t worry about being painful with the new shoes! If you have the basic pumps and don’t love them any more, you can turn them into a highly chic party shoes with some glitters! Follow the steps and have a try! Pumps with colored soles will be more eye-catching. While Christian Loubtion has the world famous red soles, you can make your own soles with your nail polishes! 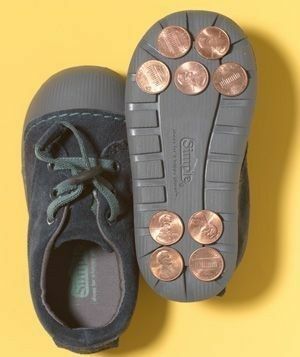 Here is a quick way to stretch your shoes so that your feet can be more comfortable with them! You want to buy a new pair of cap toe shoes? Just wait! This tutorial will teach you how to get the chic cap toe shoes without spending too much money! 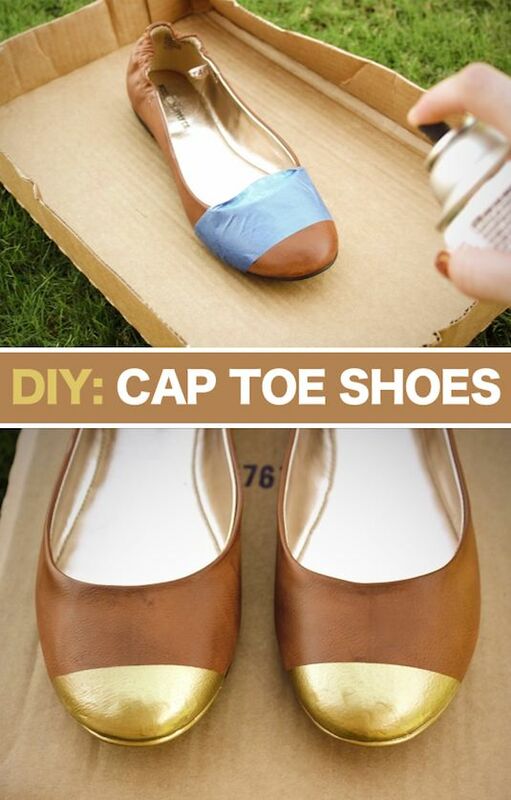 You can DIY more shoes with these simple steps! After the long summer, the winter boots become dirty and hard to clean. Many people choose to throw them away, yet that’s really wasteful. 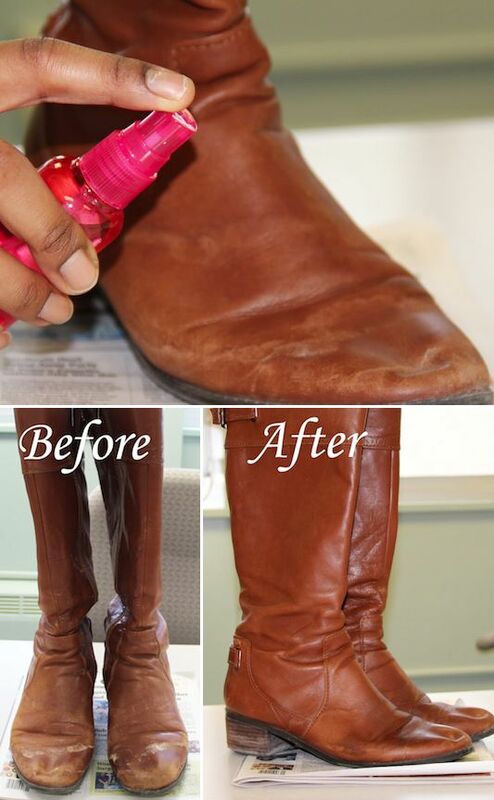 You just need some easy-to-get things and your boots will be cleaned up in a few minutes! Check it out!